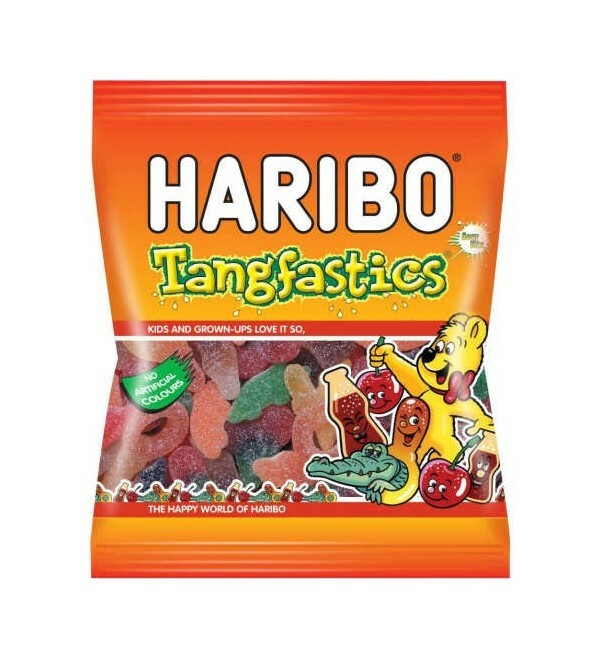 Haribo Tangfastics - fizzy sour fruit flavour and sweet foam gums. No artificial colours. 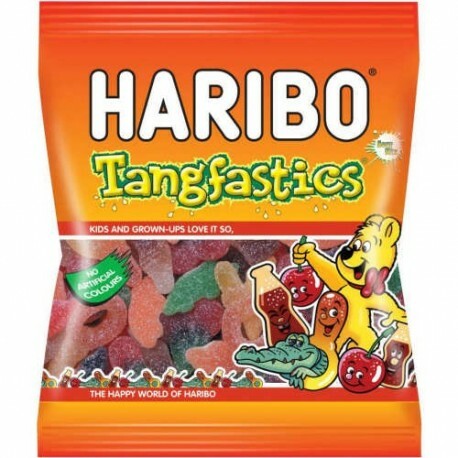 Haribo Tangfastics - fizzy sour fruit flavour and sweet foam gums. No artificial colours. Free from gluten, nuts, milk and soya.